Here’s another great photo deal! 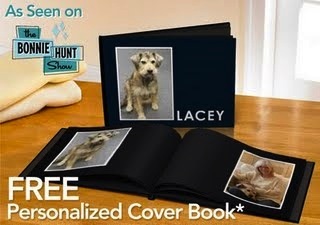 Just be one of the first 25,000 to click here, scroll down, click on “Shop Now”, and create a 20 page personalized cover book ($39.95 value) – and you’ll get it FREE! Shipping is also FREE! Just use coupon code BONNIE at checkout (courtesy of the Bonnie Hunt show).